Dangote Cement Plc, today announced theappointment of Cherie Blair and Mick Davies as Independent Non-Executive Directors of the company effective April 20, 2018. 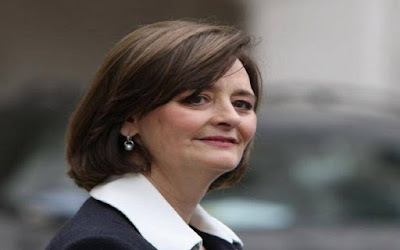 Cherie Blair CBE, QC, is a leading international lawyer, arbitrator, and mediator, a former Judge and a committed campaigner for women’s rights. She is a Queen’s Counsel (QC) and the wife of former British Prime Minister Tony Blair. Mrs Blair is the Founder of the Cherie Blair Foundation for women, as well as Founder and Chair of Omnia Strategy LLP, a boutique international law firm. She is also Chancellor of the Asian University for Women, Chancellor Emeritus of the Liverpool John Moores University, President of the Loomba Foundation, Honorary Vice President of the Barnado’s and Patron of Scope, as well as a number of other charities. She also sits on the Leadership Council for Concordia, and is a Honourary Chair of the World Justice Project. Mrs Blair currently serves as an independent director on the board of Groupe Renault which is part of the Renault/Nissan/Mitsubishi Alliance, the world’s leading zero emissions vehicle manufacturer and the world’s second-largest car manufacturer car manufacturer by volume in 2017. She was awarded a CBE in 2013 for services to women’s issues and to charity in the UK and overseas. Sir Mick Davies is currently the Chairman of Macsteel, a global trading shipping company, and Chief Executive of the COnservative Party of the United Kingdom. From 2001 to 2003, he was Chief Executive of Xstrata Plc, one of the world’s largest global diversified mining and metal companies; Executive Director and Chief Financial Officer of Billiton Plc; Chairman of Billiton Coal and Executive Director of South African State-owned Eskom. Mr Davies has extensive capital markets and corporate transaction experience. During his career, he has raised over US$40 billion from global capital markets and successfully completed over US$120 billion of corporate transactions. He participated in the creation of the Ingwe Coal Corporation in South Africa; listings of Billiton on the London Stock Exchange; merger of BHP and Xstrata and Glencore amongst others. Mr David is the immediate past President of the Council of Members and Chairman of the Board of Trustees of the Jewish Leadership Council of the United Kingdom, member of the Brookings International Advisory Council and a Trustee of the Institute of National Security Studies, Israel. Dangote Cement Plc was incorporated in 1992 as a subsidiary of Dangote Group. The company has expanded over the years, and currently has its presence in different African countries.